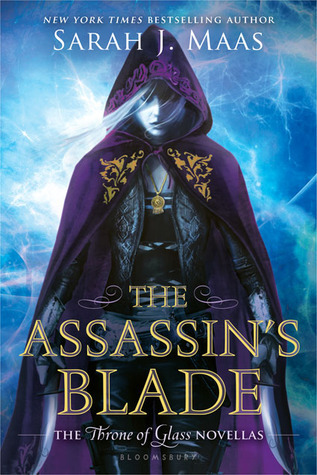 The Assassin's Blade by Sarah J. Maas is a series of Novellas that are prequels to Throne of Glass. Celaena Sardothien is Adarlan's most feared assassin. As part of the Assassin's Guild her allegiance is to her master, Arobynn Hamel, yet Celaena listens to no one and trusts only her fellow killer-for-hire, Sam. In these action-packed novellas, Celaena embarks on five daring missions. They take her from remote islands to hostile deserts, where she fights to liberate slaves and seeks to avenge the tyrannous. But she is acting against Arobynn's orders and could suffer an unimaginable punishment for such treachery. Will Celaena ever be truly free? 1. Maas novellas tell the story of the events that lead up to Celaena's betrayal and imprisonment in Endovier. The novellas have some great action, and interesting twist to them, and go a long way to explaining Celaena's motivations in the Throne of Glass series. 2. These stories give the first hint of the kindness that Celaena has underneath her tough assassin exterior. It is interesting to watch her deal with her feelings for Sam, and how awkward she is in admitting her connection to him. 3. Speaking of Sam, I simply adored him. He is sweet, and does so much for Celaena, even when she has no idea about his feelings for her. It is no wonder that Celaena falls for him, and once Throne of Glass starts is still dealing with what happened. 4. In one of the stories, gives the first covert glimpse of Prince Dorian and Choal. Although their names are never said, but the attitudes and actions make it pretty obvious it is them. 5.In the last story, Maas tells how Celaena was betrayed, by who, and why. It will be interesting to see if the things that happened in this story, and the others will end of playing a role in the rest of the series.